With a second ranking of the London airports, Gatwick airport is the hub of daily visitors, businessmen and government officials. If someone observes these visitors, then the only thing that will come to mind is: they are in a search of a reliable Gatwick airport transfer provider. This is where we jumped in for providing Minibus Hiring Services to Gatwick Airport and started aiming at providing a world-class travel experience to the visitor whether he is a resident of London or a foreign visitor. With just a call to our number, you will be offered an upbeat Taxi Hire Service for Gatwick Airport along with the best-tailored packages. We consider it as our responsibility to provide the traveler a joyful service that is comfortable as well as opulent. With the fleet of classy vehicles, you can have a fun-laden journey as well as a high class cooperate tour. We want our London clients to feel like a celebrity with the most opulent services. 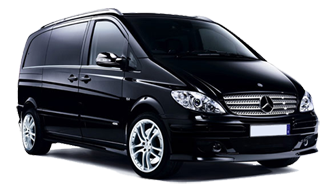 From the Gatwick airport taxi hire to that of 7, 8, 9, 12, 14 and 16 Seater Minibus, our huge fleet of vehicles are exceptionally well-maintained and will make you feel like a VVIP regardless of the date, time, and occasion. Professional, punctual, and polite, our drivers will reach the pick-up destination with zeal towards their duty. They are well dressed to match your level of elegance and occasion and will ensure that you reach the destined location in time. The basis of their hiring is their enthusiasm towards work and the familiarity with the dream city. With their knowledge of the city, you will be taken through the shortest route. Taxi to Gatwick airport or from the airport starts at a very economical value that is £48. So, feel free to call us at any moment of the day as we take pride in providing you with a 24*7 service. You can even ask for free quotes by filling a simple form at our website.